BUKIT LANJAN: Another first for Singapore in Southeast Asia … why must Malaysia always play catch up? An electric car-sharing service is scheduled to be launched in Singapore next December. Touted to be the first of its kind in Southeast Asia, it is a private sector venture contributing to the country’s transport innovation. “The fact is that the Singapore government is fast in giving approvals to those who come up with innovative business proposals,” Gerakan Deputy Speaker Syed Abdul Razak Alsagoff said. “Again, Malaysians and Malaysia may have to play catch up with our neighbour. Why must it always be like this?” he asked. 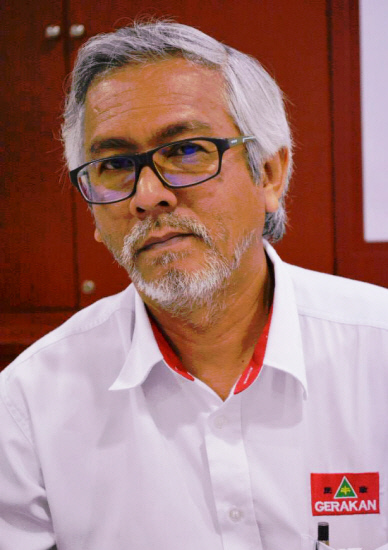 Syed Razak said: “As far as public transport service and electric car industry development are concerned, Malaysia will remain backward if it doesn’t change its attitude and red-tape bureaucratic policies. “The Transport Ministry is one of the biggest culprits for the current woes and lack of progress. 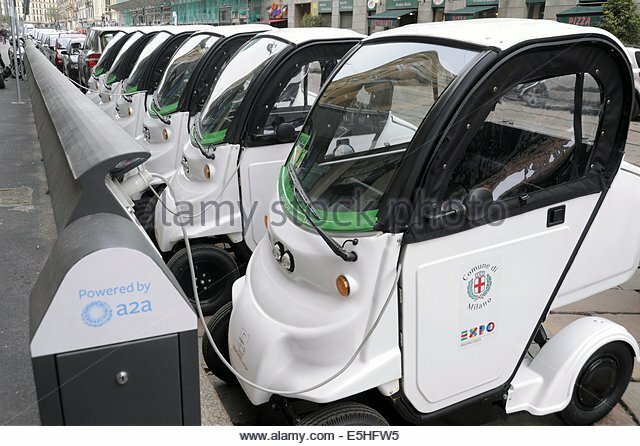 For the past decade, proposals have been made by the private sector for approvals and licences to launch electric car-related businesses for transport. “All the proposals are gathering dust in the ministry’s cabinets. It just refuses to give its approvals or licences for the private sector to venture innovatively,” he added. 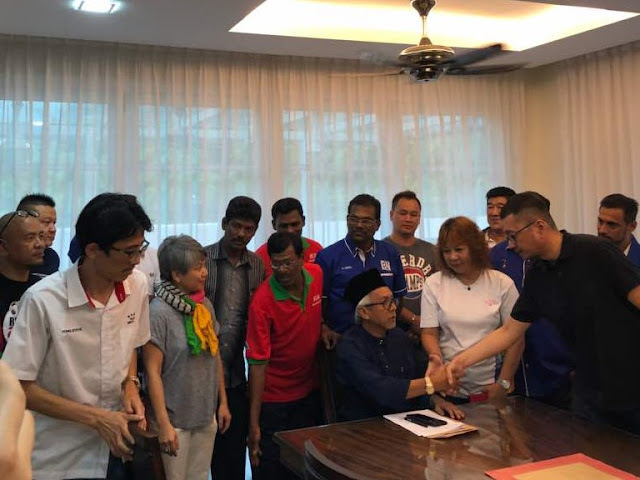 Syed Razak, who is Gerakan’s nominee to contest N.37 Bukit Lanjan in the coming 14th General Election (GE14), said it would also be unfair to just place all the blame on the Transport Ministry. “Political agenda and approvals from other ministries are also killing innovative business proposals and ventures. That’s the biggest problem with Malaysian politics. “Like race, religion and education, business too must not be mixed with politics. Why must anyone who comes up with an innovative business proposal or venture be denied the approval and licence to operate?” he asked. Syed Razak said Malaysians and Malaysia had since 2008, that is after GE12 and GE13, seen politicians from both sides of the political divide wasting too much time “politicking instead of serving and governing”. “I have said this before in this blog. After a general election, stop politicking. Serve and govern efficiently by implementing progressive and innovative policies that benefit rakyat dan negara (people and country). “No amount of politicking can beat that to consolidate or strengthen the rakyat’s confidence in our leaders,” he added. An electric car-sharing service will be launched in Singapore in December, in what the company behind the scheme said Wednesday was a first for Southeast Asia. BlueSG, a subsidiary of France's Bollore Group, said that 80 cars and 30 stations where vehicles can be picked up and dropped off would be operational by the end of the year. The group plans to roll out 1,000 of its custom-built Bluecars by 2020, as well as numerous stations and charging points. The affluent city-state -- whose generally uncongested roads are a contrast to many traffic-choked cities in the region -- has become a testbed for transport innovations. Last year it hosted a limited public trial of the world's first driverless taxis. Marie Bollore, from Blue Solutions, said Singapore was a launchpad for the company to enter the Asian market. "We will start in Singapore, and afterwards we will see if other regions in Asia are interested," Bollore said at the launch of BlueSG's new Asia-Pacific headquarters in Singapore. The service is being rolled out with the help of the authorities. Land Transport Authority chief technology officer Lam Wee Shann said the initiative would "lay the foundation" for a network of electric vehicle charging stations, and support the growth of electric car use in Singapore. Blue Solutions is the world's biggest operator of electric car-sharing services, with 5,000 other electric vehicles in eight cities -- including Paris and Lyon in France, Turin in Italy and Indianapolis in the United States. 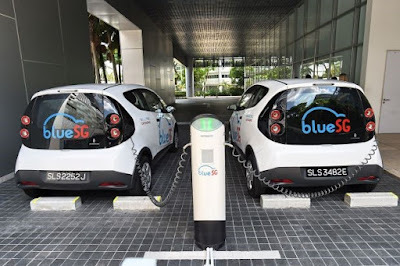 In Singapore, users will be able to book an electric car online or via a mobile app, and charged for the time they rent the vehicle rather than the distance travelled. There will also be an option for a daily or annual membership. Slightly bigger than a Smart car, the two-door, four-seater Bluecars are designed with Italian coachbuilder Pininfarina. 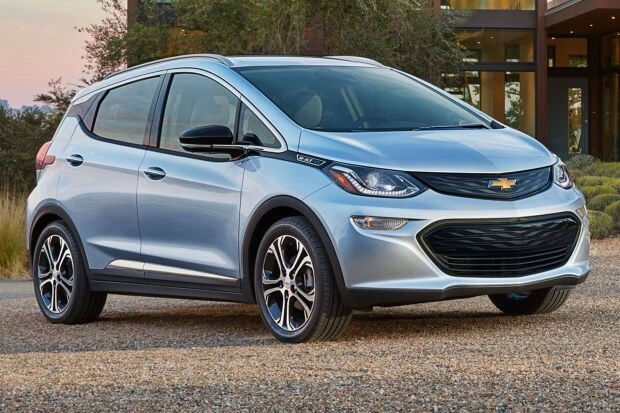 General Motors announced plans Monday to launch 20 all-electric cars by 2023, part of a long-term push to an "all-electric" fleet as governments globally embrace fuel efficiency. The biggest US automaker said it will introduce within 18 months two new models built on the learnings of the all-electric Chevrolet Bolt, which was launched in December 2016. "General Motors believes in an all-electric future," said General Motors executive vice president Mark Reuss. 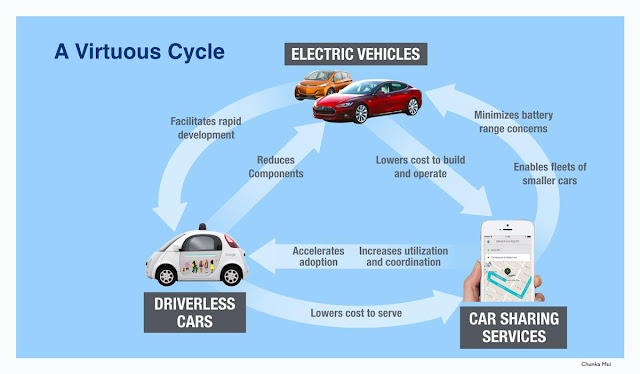 "Although that future won't happen overnight, GM is committed to driving increased usage and acceptance of electric vehicles through no-compromise solutions that meet our customers' needs." The Bolt, the first all-electric vehicle aimed at the middle market, now faces competition from Tesla's Model 3, which has won admiration among many environmentalists and car aficionados as a leader in new car technologies. Car companies are investing heavily in all-electric vehicles as officials from China to Europe emphasise the need for more energy-efficient vehicles, even as today's fleet remains overwhelmingly populated with conventional autos. Officials from Britain and France are among those who have said they plan to block sales of diesel or gasoline-fueled cars in 2040, while Norway has set a 2025 deadline. China has set a target that at least 12% of cars must be hybrid or electric by 2020. GM got a boost Monday from Deutsche Bank, which upgraded the company's stock to "buy" and said it enjoys an advantage over competitors in "autonomous and new mobility models. — AFP Relaxnews"